Angel's trumpets (Brugmansia spp. ): growing, planting, caring. A lovely shrub with creamy trumpet-shaped flowers. Scientific name : Brugmansia spp. Full description for Brugmansia spp. not yet available. 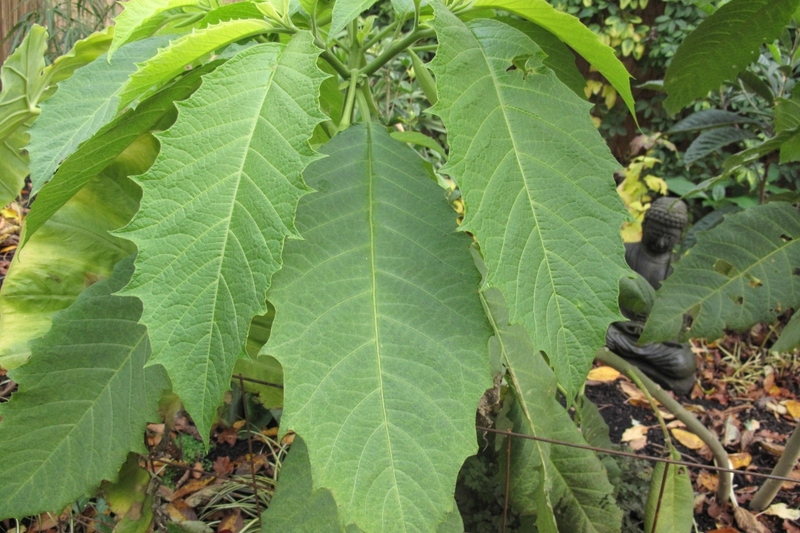 Plant brugmansia from October to March outside frost periods - planting before winter promote better rooting - in sunny conditions and if possible sheltered from the wind. 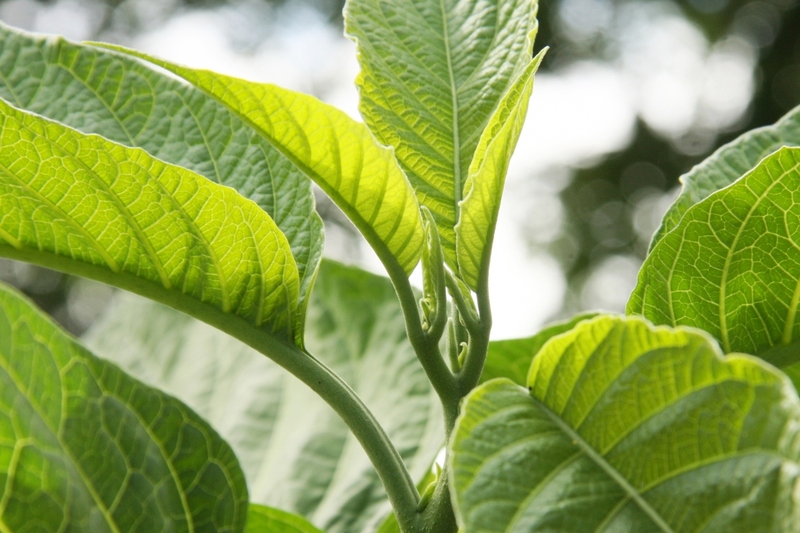 Brugmansia appreciates clay soils, neutral, provided that they are well drained. Feel free to add sand and pebbles to the bottom to facilitate the water flow! Before planting, trim damaged roots and branches to balance the root volume and the above ground volume. Plant in a hole at least two times bigger than the root ball. Soak the roots in water before planting. This will greatly improve the chances of growth, no matter the conditions. Plant while taking care not to bury the plant's root collar. Form a basin around the plant's base, which will be used for watering the first months. Form a basin around the base, which will be used for watering the first months by tamping down the soil around the roots. Don't hesitate to use all of your body weight! Water until the planting basin is full — at least two watering cans! Two scenarios, depending on whether your plants are potted or in open soil! Prune the branches of your open soil brugmensia at the very start of spring to approximately 1/3rd of their length. If some branches have blackened during winter, they suffered from frost — remove the entire section, as it will not grow back. Prune your potted plants before bringing your pots in to shelter from the frost — cut back the new year's stems half their length to keep an attractive, compact silhouette. If you live in an area where it freezes, and depending on the variety you choose, protect your brugmansia outside with a mulch, and a veil for wintering plants. Know that if some varieties can resist up to -10 °, the seedlings remain quite fragile! You will be able to take out your brugmansia after the last frosts! Place it in the sun, if possible sheltered from the winds, and water copiously once. If the bloom has disappointed you in previous seasons, it's time to add compost. Shelter for the winter the potted plants, in a cool room, between 5 ° C and 10 ° C, quite bright, with reduced watering and no fertilizer. Take the opportunity to prune the plants, if you have not done it earlier! 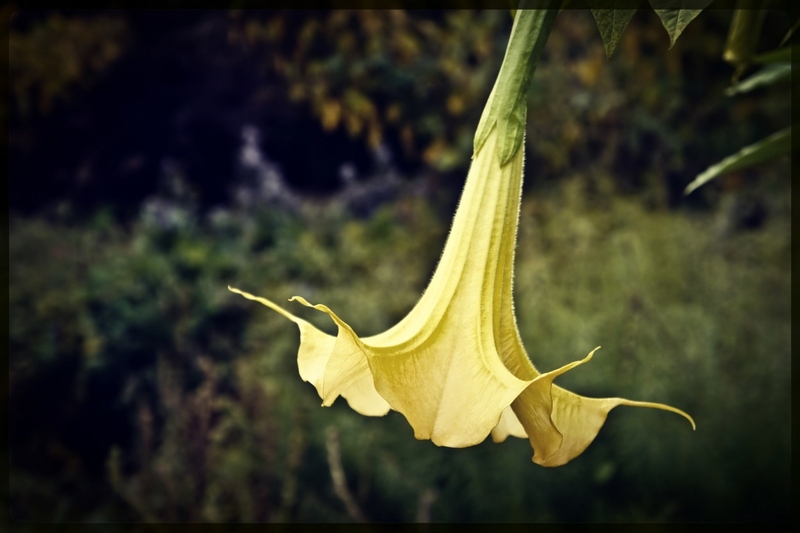 Brugmansia requires potassium to develop a beautiful flowering! The other basic elements (nitrogen, phosphorus) will also help the young plants to grow and for the plants in pot, especially in small ones, to support their vegetation. In the spring, bring compost, incorporated by scratching the top, or otherwise by quick-assimilating fertilizers like a complete organic fertilizer, low in nitrogen - "for tomatoes", for example.